It never ceases to amaze us how so many companies put their logos on cheap giveaway items that malfunction or break almost immediately. Don’t they ever think about what message that sends regarding the quality of their branded products? Typically, the decision to do such a foolish thing comes from a marketing department that has a misguided idea of “impressions.” They think that what is important is to get as many tchotchkes as you can get for the price. The more tchotchkes the more impressions. Never mind if it falls apart – their metrics stop as soon as it‘s branded and distributed. Apparently, they choose to forget the real number of impressions after distribution and the quality of those impressions. When a t-shirt, baseball cap, or keychain falls apart, it’s junk and gets tossed in the garbage. The sooner that happens, the less repeat impressions the branded item makes. End of the impressions. Or is it? The customer who received the cheap branded item gets another kind of impression: the product is cheap like the tchotchke bearing its logo. This is a bad impression. So now, how does that low cost for massive production stack up? Ultimately it’s about making a good impression, not a cheap one. Ultimately, the more your customer uses your branded item, the more people will see your logo. Hence, the real number of impressions is dependent on how long the item lasts. The more your customer uses your branded item the more she is demonstrating her support for your brand to her friends, relatives, and business associates. And isn’t that the result we really want? About now the budget red light goes on. 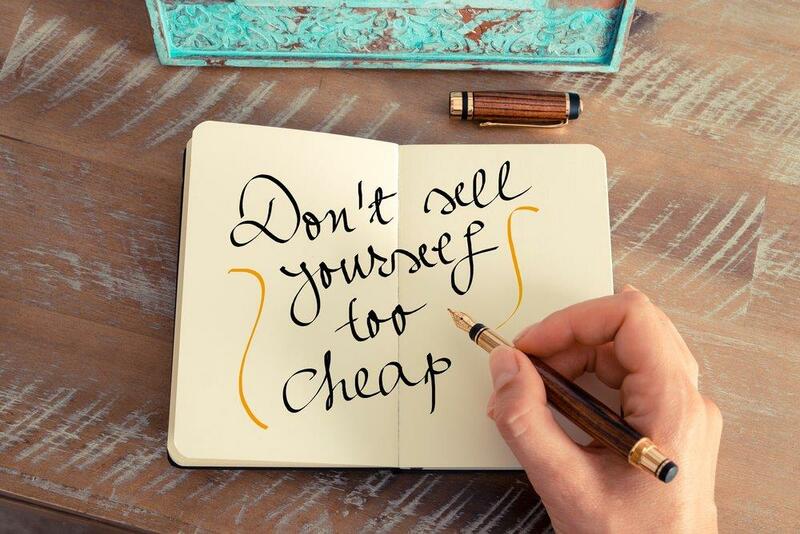 Sure, the more long lasting, higher quality items you brand may cost more, but aren’t you spending less in the long run? Aren’t you getting more brand building activity than the cheapie item that’s in the land fill? The real culprit these days seems to be pens. The flimsiest pens in the world are proudly emblazoned with the logos of well-meaning companies – to presumably build their brand. But these excuses for writing instruments start skipping right away. Then their retraction mechanism springs out across the room like a missile, rendering them useless. You moan a few choice expletives and toss it away. You make a mental note not to take any more of those pens, and you take note of the logo you want to avoid. Conversely, when you get a good pen, one you can rely on, you’ll fight to keep it. “Hey, that’s my pen!” you’ll say, demanding it’s safe return. Again you notice the logo, only now it’s with positive feelings. You’re proud of it and the company it represents. Now you have become somewhat of an advocate for the brand. You keep the pen a long time and grieve when you lose it! Make a wise investment that gets good impressions for a longer period because your pen, t-shirt, or cap simply lasts longer. When you divide the cost by views, instead of by the number of items, your best buy is always going to be quality. 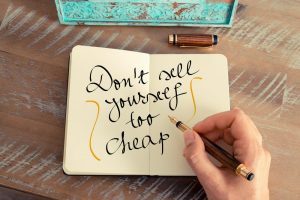 Instead of trying to see how many you can get for the least amount of money, why not get the most bang for your buck with longevity, (good) impressions, and customer advocacy? We are proud to see Barefoot t-shirts that we had produced decades ago still being worn today! We will inevitably strike up a conversation, and love hearing, “This t-shirt has lasted for years! I love it!” Now that is a lasting and good impression!